The fashion show is due to be held on June 8th. Come and join our exciting 6 week class, exploring the world of sewing and fashion! Children will be taught how to design, cut and sew their own garments and accessories. These classes are perfect for beginners or those with some experience of using a sewing machine, as projects change every term and are progressive; starting with simpler projects before building up in skills. 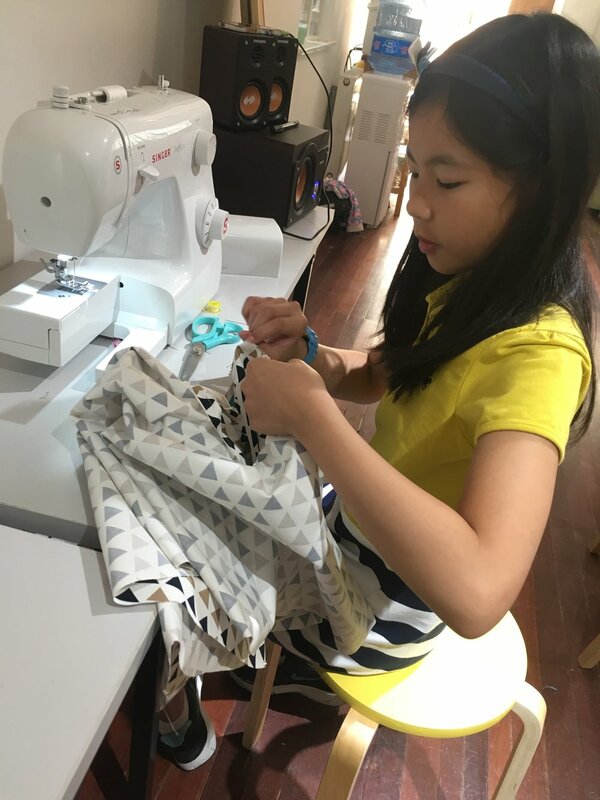 Every session begins with an introduction (or refresher) on how to use the sewing machine and the children will work on a different item every 2-3 weeks. All children are welcome to participate in our fashion show at the end of the term, with parents also welcomed of course! Boys and girls are both welcomed! If you need to miss a class, we offer 1 catch up session throughout the term where the child can join another one of our classes running that week. If you need more than 1 catch up, this will be at the cost of 300rmb/session. The cost of the 6 week course is 1800rmb. To secure your child's spot we require a deposit of 400rmb, or you may pay the full price. Sibling groups can take 10% off. Clicking the above link will take you through 2 stages. 1. You will need to complete a registration form of your child's details. 2. Once completed, you will be taken to 247 tickets. Here you may choose from a deposit or the full price.